History: I completed school in Cohuna, Victoria in 2001. After that I completed Certificate 3 in Hospitality Operations as part of year 11 and 12. In 2002 I started an apprenticeship at Port of Echuca Motor Inn. In 2003 I moved to Oscar W’s (one chef hat). After that I completed Certificate 3 in Commmercial Cookery at William Angliss in 2004, there I received the outstanding student award. That ‘s when I started at Circa. In 2005 I worked at The Prince, then moved to L’Oustal in Albert Park. 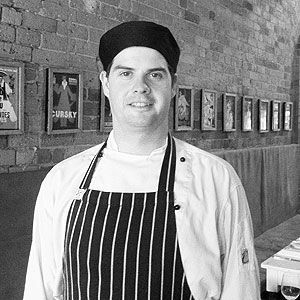 In 2007 I was hired as head Chef at the Bridge in Bendigo, receiving accolades and in the same year was the first Chef employed at The Dispensary Enoteca in Bendigo, to additional acclaim. 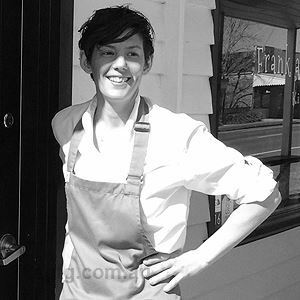 I have now purchased my own restaurant, Bouchon in Bendigo and opened in October 2010. Yes, ever since I was little I have only ever wanted to be a chef. I have always cooked at home, made cakes, bread, etc. I used to look through books to find things I wanted to cook. I started working in pub kitchens when I was fifteen to see if it was what I wanted to continue with and enjoyed it. As part of work experience I worked in a one hat restaurant in Bendigo and decided that this was the type of food I wanted to be able to cook. I have continued along the path of working my way up the restaurant chain, learning from many different chefs with different styles and techniques. 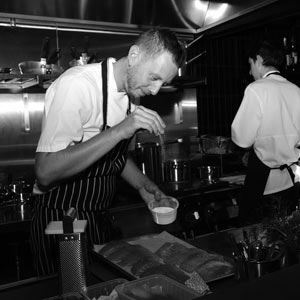 When working with Daniel Southern at L’Oustal I found a love for simple, French Bistro food. Provincial French bistro food. Very simple with good local Ingredients. Pork, using the whole pig. 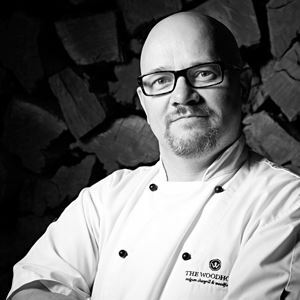 Daniel Southern, Comme, Thomas Keller, Fergus Henderson, Joel Salatin. Its mine, finally being able to cook the simple food I love in a relaxed, unpretentious, atmosphere. An ingredient you can’t live without? Most ‘eyebrow raising’ menu item?